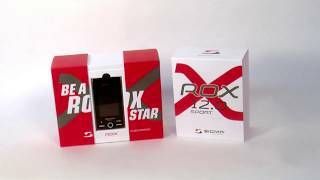 Is the ROX 12.0 SPORT compatible with the ROX 10.0 GPS and ROX GPS 11.0 sensors? 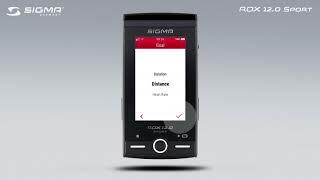 The systems are based on the ANT + standard, therefore the sensors of the ROX 10.0 GPS and ROX GPS 11.0 can be connected to the ROX 12.0 SPORT. Are ANT + sensors from other manufacturers compatible with the ROX 12.0 SPORT? ANT + sensors from other manufacturers can be connected to the ROX 12.0. 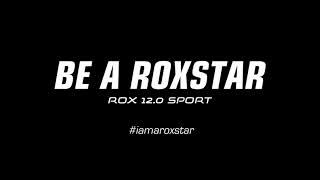 How do I update the firmware version of ROX 12.0 SPORT? 5. Confirm the message "New software update available" with the green button "Now"
How can I save a route as a track? To do this, select: “My Activities” -> “Select one” -> “Options (start as track)” -> “Options” -> “Save as Track”. 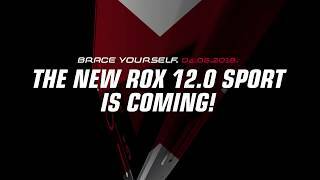 Are sensors necessary to use the ROX 12.0 SPORT? The ROX12.0 SPORT calculates the current speed using GPS. Alternatively, an ANT+ speed transmitter can be used for this purpose. Moreover, it is possible to link an ANT+ heart rate transmitter and an ANT+ cadence transmitter. Which brackets can be used? In addition to SIGMA's own brackets, third-party brackets marked "K-EDGE" can also be used. Which SIGMA brackets are compatible with ROX 12.0 Sport? The brackets ROX 11.0 GPS, ROX 7.0 GPS and Pure GPS are compatible with the ROX12.0 SPORT. Which data are synchronised via the SIGMA CLOUD? The SIGMA CLOUD transfers your activities, sports profiles, tracks and device settings. 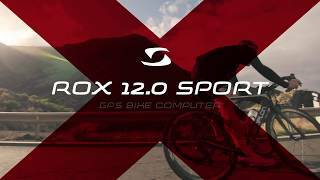 Are the maps on the ROX 12.0 SPORT expandable? Maps of the following countries can be expanded: Africa, Asia, Europe, North America, Oceania and South America. External third-party maps are not expandable. Can the map orientation be also aligned in the direction of travel? Yes, please open the settings -> "Map" -> "Map Orientation"
Can I use the services like GPSies on the way? Since the use of GPSies is only possible online, you need access to a guest Wi-Fi or a hotspot. How can I transfer tracks to the ROX12.0 SPORT? Drag the tracks you want to transfer from the removable medium to the Tracks folder. You can also transfer tracks via the SIGMA DATA CENTER to your ROX12.0 SPORT. Can I turn off the device while riding? The display can be switched off while driving. Navigation and turn-by-turn instructions are still active. A complete switch off is not possible. Can I use a Powerbank to charge the ROX 12.0 SPORT? Yes, but note that it has 5V and 1A. What does the message "Distance longer than 300 kilometres" mean? The distance to the destination is further away than 300 kilometres. Why are no watt values shown? To display watts values, a power meter is necessary. How long can the WiFi password be? The maximum length of your password may be 25 characters. The following special characters cannot be used: "\ |"
How much does it cost to use the SIGMA LINK app and the SIGMA DATA CENTER software? The use of both programmes is free of charge. 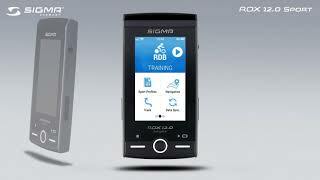 The SIGMA LINK app can be downloaded from the Google Play Store and the IOS App Store. The SIGMA DATA CENTER can also be downloaded free of charge at www.sigma-download.com. Can I use any microSD card with my ROX 12.0? In general, every microSD card is compatible with the ROX 12.0. Since there are great differences in quality, some mircoSD cards can cause problems. We have created a list of microSD cards that we have tested. IMPORTANT: To ensure the proper functioning of the microSD card, it must first be formatted as FAT32 (NTFS or exFAT is not recognised by the ROX12)! 128 GB memory cards must be formatted with the cluster size 64 KB! When using "slow" memory cards and memory cards larger than 32 GB, the starting time of the ROX 12.0 is extended! PS: We will test more cards and add them to the list!